Back from Panama City on Saturday, off to Vietnam on Tuesday. All those little Central American countries chewed up my passport so I had to pay $700 in expediting fees to get extra pages and a visa with next-day service. Expensive, but the factory wants us there next week and we’re anxious to get started, so off we go. 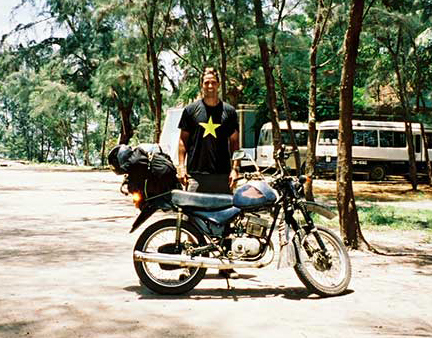 My first big international moto trip was in Vietnam 12 years ago. 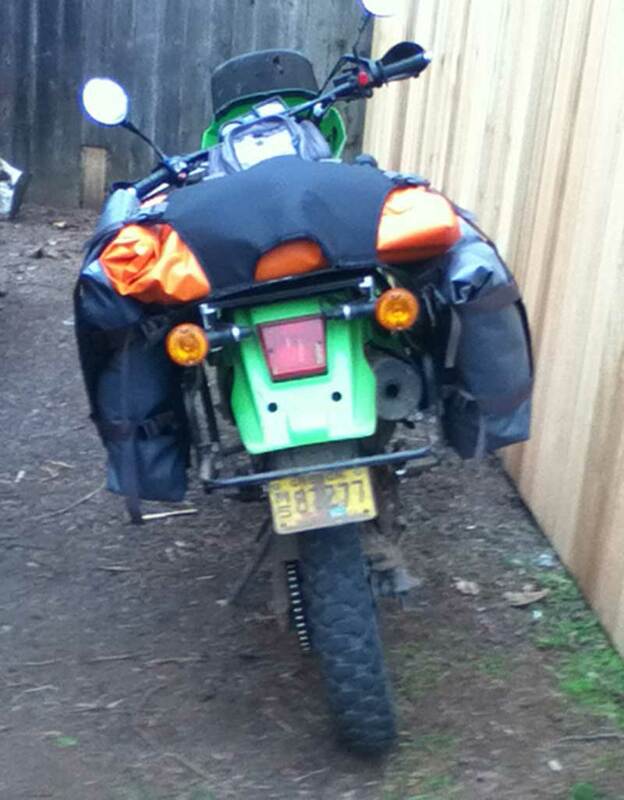 I bought a used 125cc Minsk and rode it from Hanoi to Saigon with lots of stops. Even though this trip is for work not play, I’m excited to go back in a totally different context. 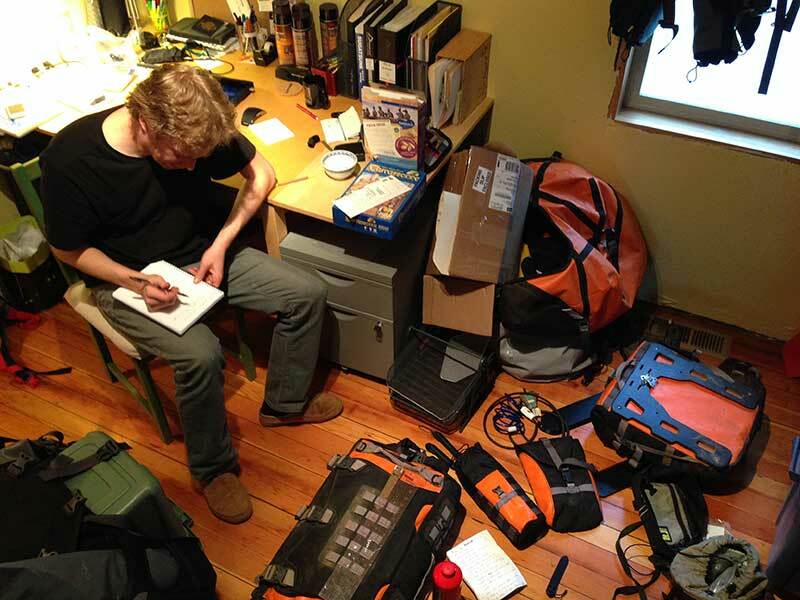 This week Andrew and I went over all the edits and changes from the Central America trip. There were a lot, but most were pretty small. 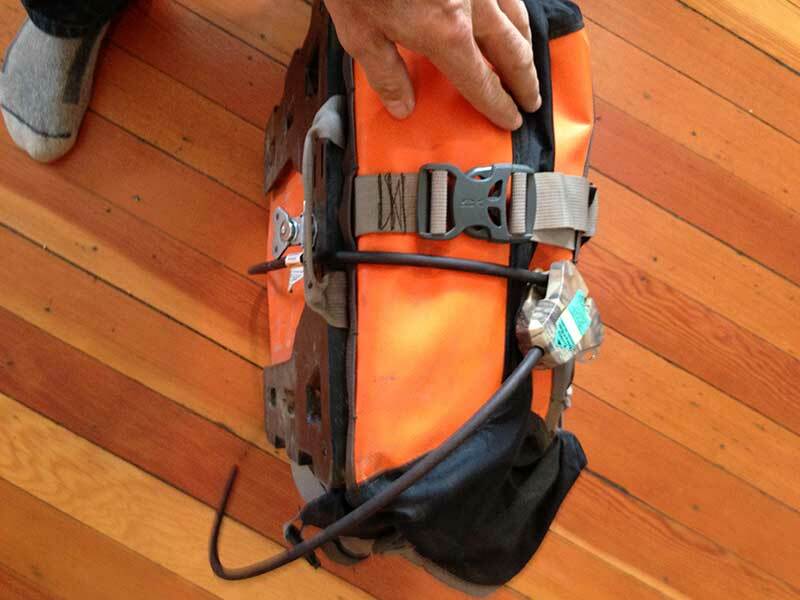 One change we made: the hydration bladder pouch needs to mount vertically not horizontally on the rear duffle, because the hydration bladder relies on a gravity feed to bring water to the nozzle. That was something we didn’t think of in the original design. Andrew came up with a cool solution that we hope to prototype on monday. We also looked into some new latches that arrived while I was gone, including two locking latches, one of which uses a padlock and the other of which has it’s own keyed lock. Of the new options above, we like the black powder-coated one best. It’s similar to the one I used in Central America, but larger and burlier. This feels like the final choice. Several people have requested a locking feature. 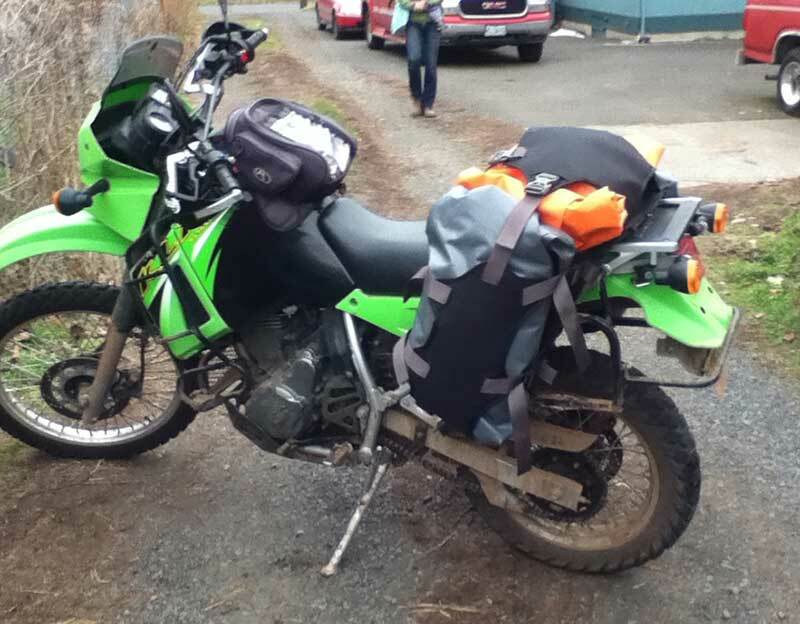 A locking latch would only lock the bags to the bike but wouldn’t do anything to secure the contents of the bag, so we’ve been researching other options. 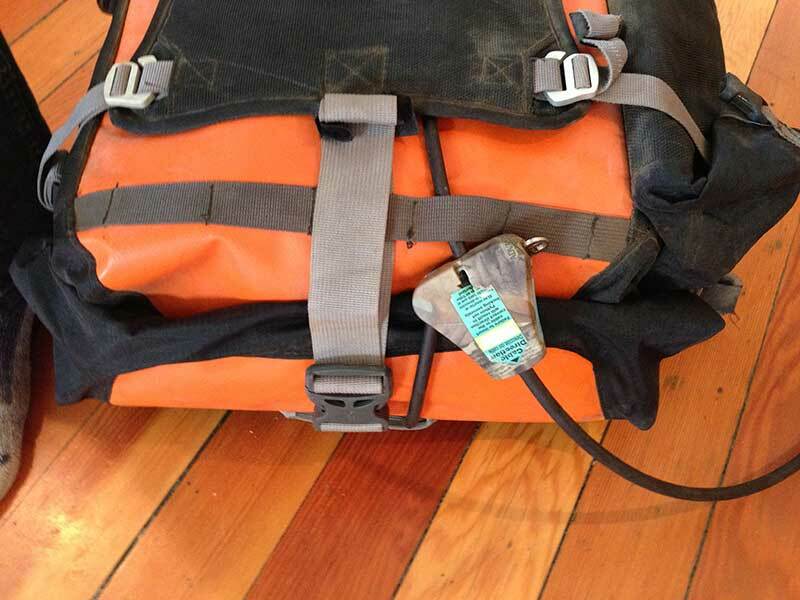 Our favorite so far is a pull-through cable lock which cinches around the bag. Andrew’s wife uses these for game cameras in the Mt. Adams wilderness, so we had a couple samples laying around to play with. It works really well. 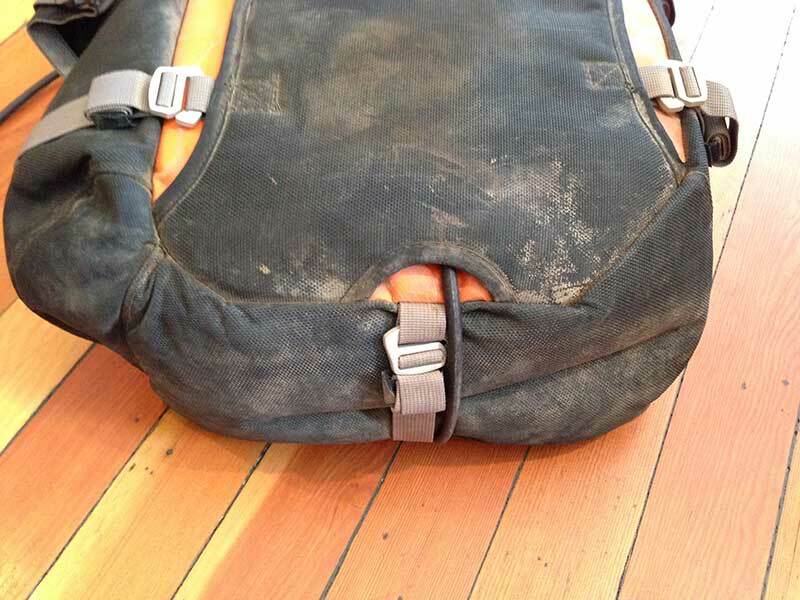 The cable not only locks the bag to the bike, but also locks the roll top closed in a very secure position. It threads through the drain hole at the bottom of the beavertail, continues through the daisy chains at the top-front and top-back of the pannier, and then cinches down extremely tight around the bag. 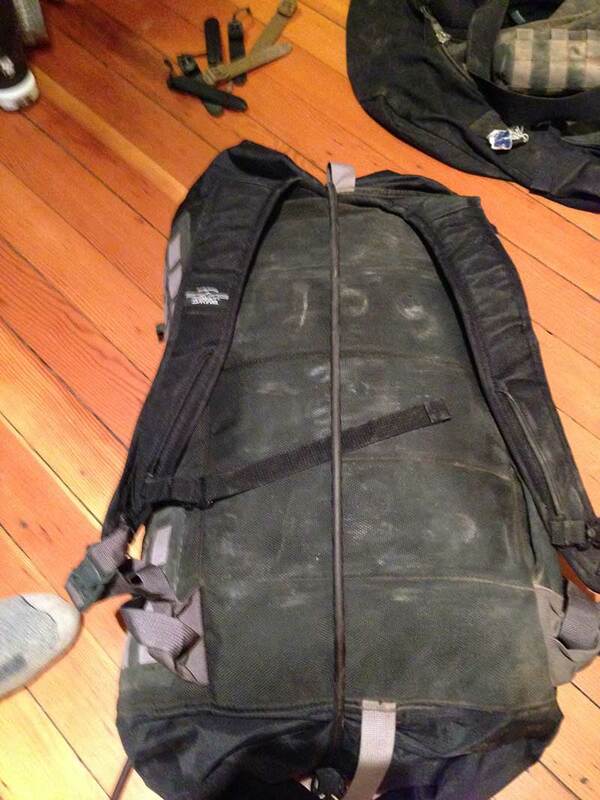 It would be virtually impossible to access or remove the bag without a knife or cable cutter. Same on the duffle. As with any luggage, hard or soft, if someone has enough time, sufficient privacy, and the right tools: they’re going to get inside. My Hepco Becker aluminum cases can be opened with a screwdriver, or even just a rock. But the locks keep honest people honest, and they’re a reasonable theft deterrent. 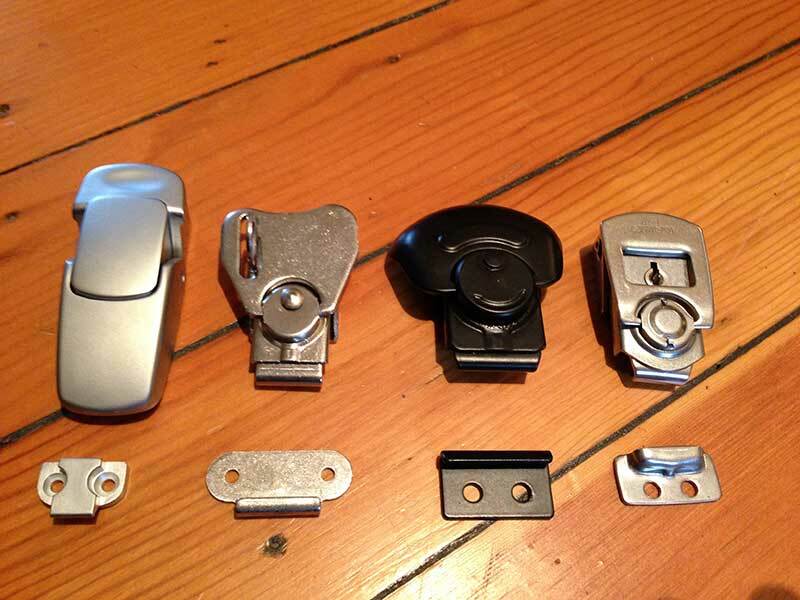 Andrew knows a lock factory, so we’ll reach out to them and ask about developing a custom SKU. We’re thinking a combination vs key lock, so there are no keys to lose. 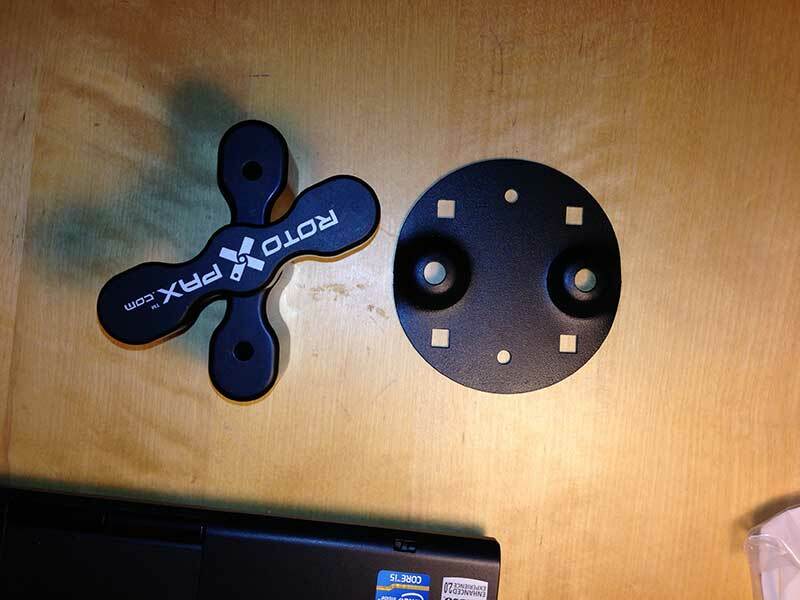 We designed the wedge to be rotopax compatible. We ordered a mount and measured it to confirm. It works. 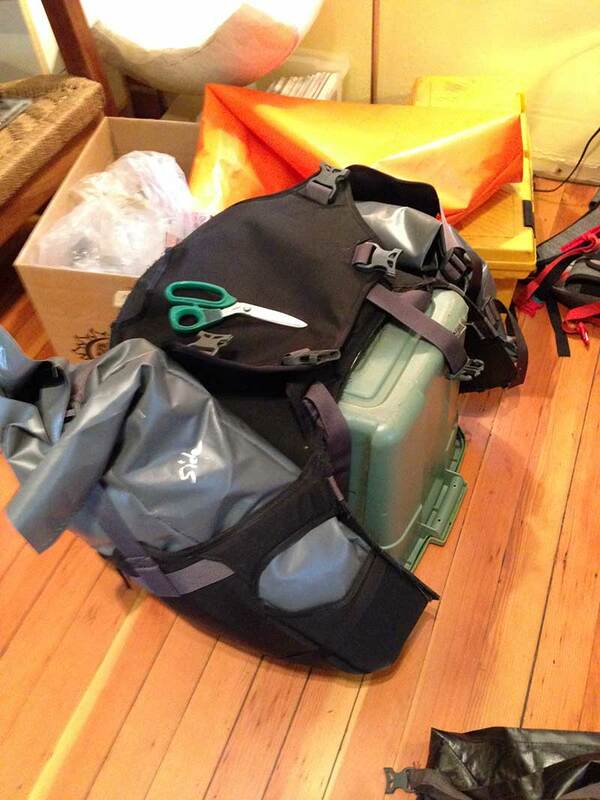 Andrew and Chip have been busy working on the rackless pannier/duffle. 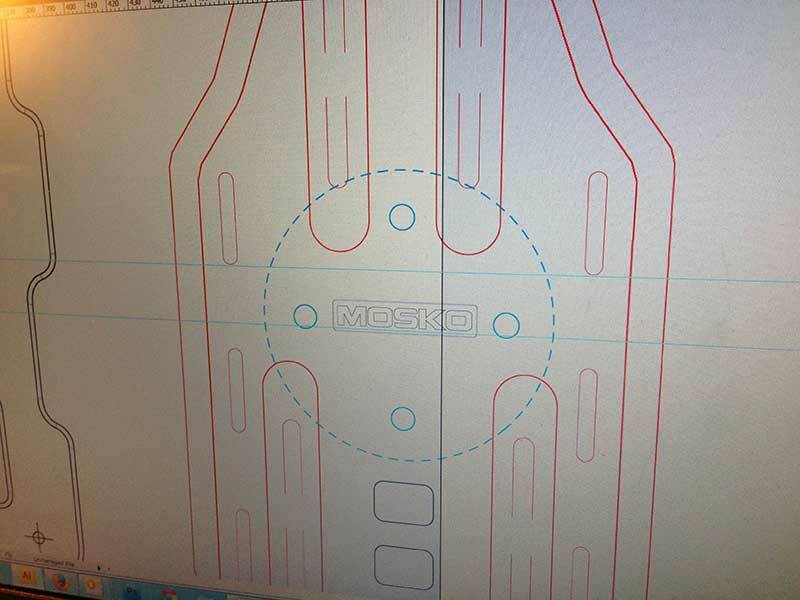 While I was gone, they made a first-round proto, cut that one up, and made a really rough second proto as well. Andrew and I generated a bunch of additional ideas this week. Here are some pics. Please keep in mind that these are very very rough protos! The original idea (shown above) was to use side beavertails to hold the drybags. This was too strappy, didn’t align right, and it was hard to get the bags in/out. 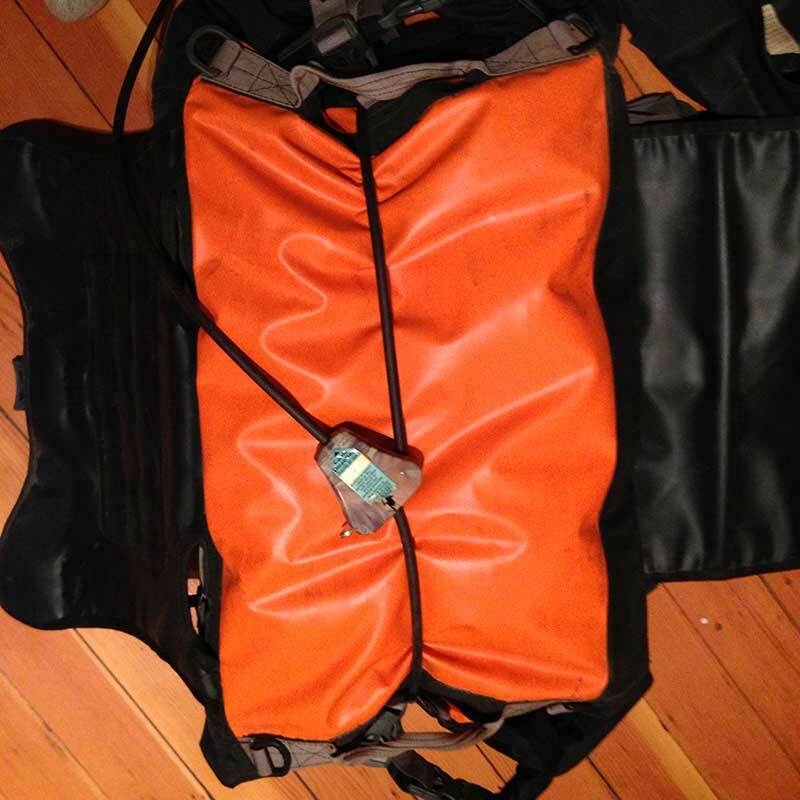 So we cut up one side and turned it into more of a drybag “pocket” instead of a beavertail, as shown below. This system works a lot better. The rider’s gear would be compartmentalized into three separate bags while allowing easy access to all three throughout the day. 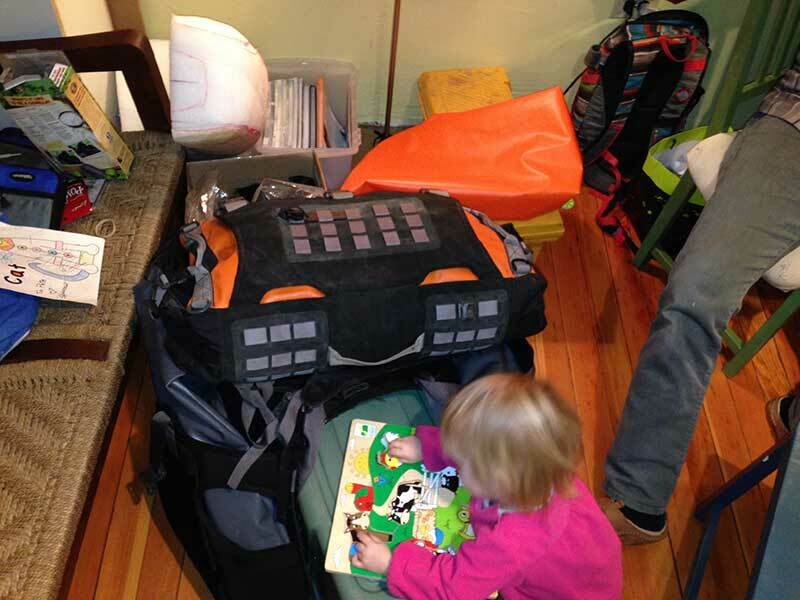 The system would also feature all the benefits of our other bags: e.g. 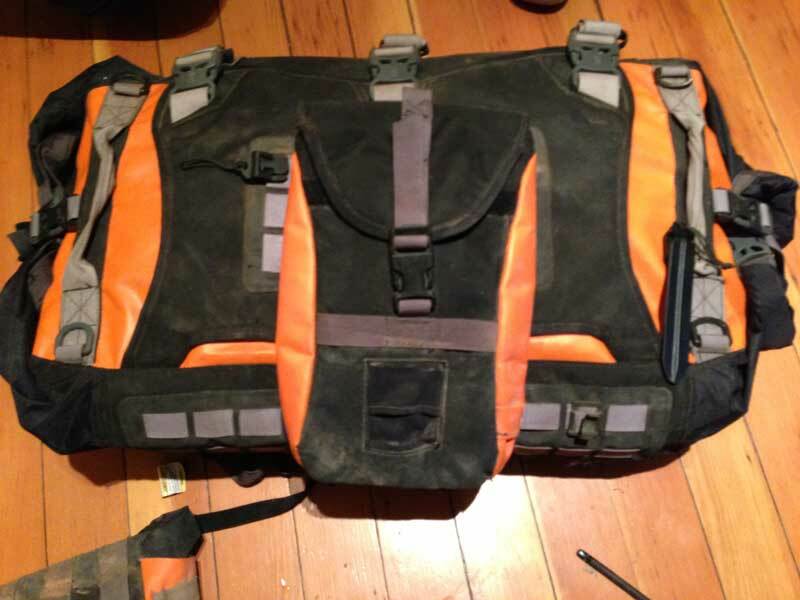 beavertails, molle, hydration, fuel storage, etc. Next up: Andrew’s headed back to Chip’s to start another round of protos, and I’m off to Vietnam to see about making some bags.